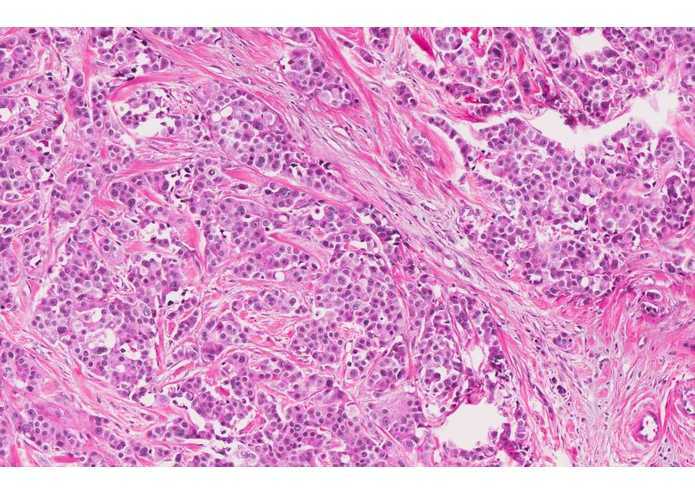 In a world where 20 percent of breast cancer survivors suffer recurrence, accurate tumor prognosis and recurrence prediction are becoming increasingly crucial in ensuring that patients receive proper attention and treatment. 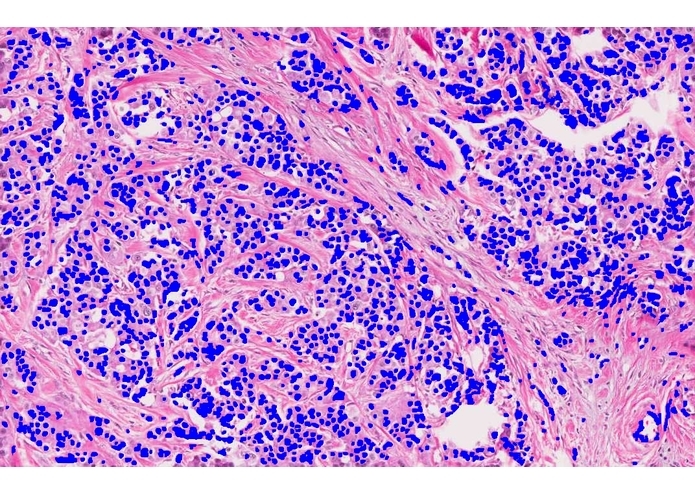 For example, a tumor correctly identified as aggressive can be given a more potent form of treatment to ensure that recurrence does not occur. 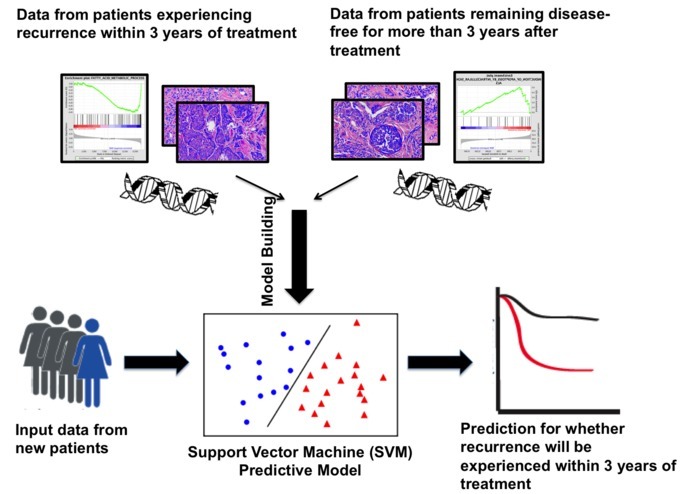 I used support vector machines (SVM) to develop a machine learning model that accurately predicts whether a breast cancer patient is likely to experience a recurrence after treatment. 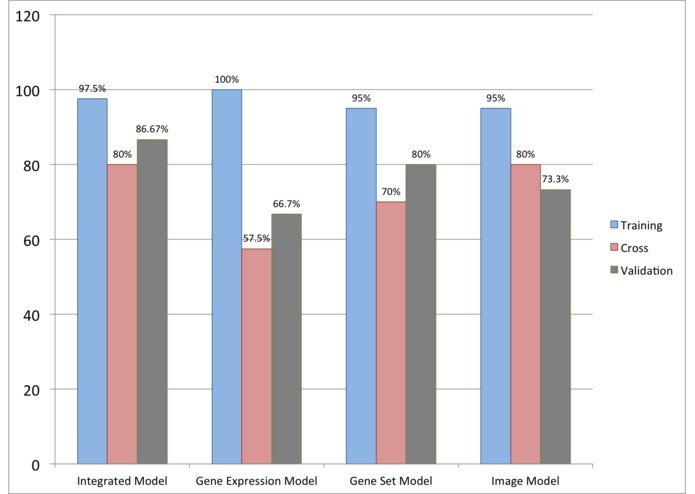 The prognosis method examines the patient's biopsy slide image with computer vision and leverages complex statistical methods to analyze the expression values of thousands of genes. 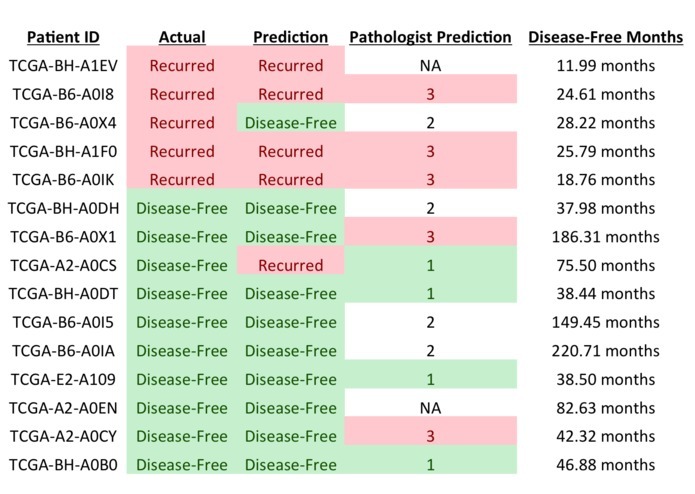 After going through supervised learning, the SVM model correctly forecasted tumor aggressiveness and predicted recurrence with an accuracy of 86.7 percent. 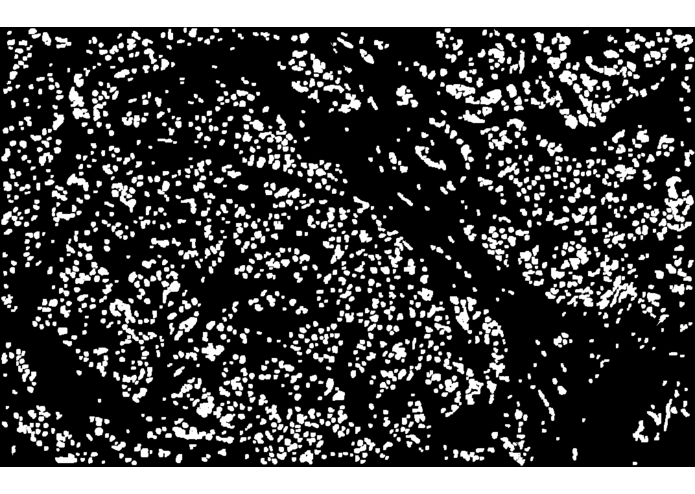 The novel approach makes breast cancer prognosis faster (a few seconds per tumor) and more accurate (10 percent improvement over doctors' predictions) than ever before.